Manufactures grinding wheels, abrasives and cutting tools in China. Publication related to the abrasives industry includes information on processes, materials and products. Malaysia. Specialists in design, fabrication and supply of electroplating equipment, abrasives, buff, chemicals, polishing materials and surface finishing products. Multi-national minerals processing company, active in pigments and additives, building materials, refractories and abrasives, and ceramics and specialties. Kaolin and carbonates for use as fillers and coating materials in the papermaking industry. List of literature on PDF files. Calendar of events. Distributor of abrasives, and cutting and grinding tools and materials. A manufacturer and exporter of coated and bonded abrasives. Based in China. Chinese manufacturer and exporter of coated and non-woven abrasives. Abrasives manufacturer under FEPA and other standards. Includes product specifications. Manufactures flexible abrasives and abrasives that allow for dust-free surface finishing processes. specializes in processing abrasives and powdered glass for industrial and consumer markets. Manufactures bonded and coated abrasives, carbide burs, wire brushes, and accessory items. Manufacturer and exporter of industrial garnet abrasives for water jet cutting, sandblasting, polishing and grinding. Manufacturer of industrial and automotive abrasives. Site provides recommendations and tips for a variety of grinding applications. A foreign trade company for abrasive materials and tools. Supplies a full line of engineered abrasives and abrasive products for industrial applications. Site includes online ordering. Manufacturers and worldwide suppliers of high performance metallic abrasives. Includes technical selection criteria for choosing abrasives. Since 1978 has specialized in manufacturing coated abrasives, nonwoven abrasives, sanding mesh and sponges in China. Swiss manufacturer of coated abrasives that specializes in the development of complete abrasive systems for surface processing. Manufacturing facilities in the US and worldwide. Manufacturer and exporter of a wide range of blast cleaning abrasives for surface preparation of steel, stone and concrete surfaces. UK based manufacturers and world wide suppliers of high performance metallic abrasives. Includes technical selection criteria for choosing abrasives. Distributor providing industrial MRO, abrasives, cutting tools and safety supplies across Canada. Products include abrasives, adhesives, fasteners, lubricants, paint and tape. Canadian distributor providing industrial MRO, abrasives, cutting tools and safety supplies. Products include abrasives, adhesives, fasteners, lubricants, paint and tape. Manufactures sanding and grinding products including coated abrasives, grinding discs, cut-off wheels and flexible abrasives. A South African based manufacturer of coated speciality abrasives as well as a converter of coated commodity products. Supplies abrasives, paper and sponges, gloves, safety glasses, and Dynabrade air tools. Produces and supplies sandblasting abrasives, equipment and accessories for the professional sandblaster. Manufactures grinding, cutting wheels, abrasives, cutting oils, and drills. Produces an environmentally safe non-silica sandblasting abrasive product used to re-surface materials before painting. Has facilities in all west coast states. A global manufacturer and processor of advanced specialty inorganic powders, fillers, reinforcements, abrasives, and nanomaterials. 30 Pan Abrasives Group Singapore. Singapore. Manufacture and distribution of extensive range of products and equipment for the surface preparation industries. Selection includes abrasives, finishing media, blasting equipment, vibratory bowls, and centrifugal barrel machines. Produces and offers mini-micro diamond abrasives in ceramic binder for the manufacture of sapphire, ceramic, hard alloys. Manufacturer of full resin-coated diamond abrasives, flexible diamond wheels and diamond powders. If the business hours of Twin-Town in may vary on holidays like Valentine’s Day, Washington’s Birthday, St. Patrick’s Day, Easter, Easter eve and Mother’s day. We display standard opening hours and price ranges in our profile site. We recommend to check out twin-town.com.cn/ for further information. 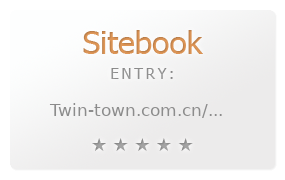 You can also search for Alternatives for twin-town.com.cn/ on our Review Site Sitebook.org All trademarks are the property of their respective owners. If we should delete this entry, please send us a short E-Mail.